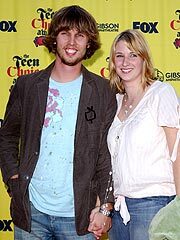 Napoleon Dynamite star Jon Heder and his wife, Kirsten, are expecting their first child, the actor's rep has confirmed to PEOPLE. Heder, 28, who stars in the upcoming School for Scoundrels, first alluded to the good news during a Hollywood Foreign Press news conference at the Four Seasons in Beverly Hills on Thursday. Heder, who is from Salem, Ore., burst onto the scene playing the memorable oddball Napoleon Dynamite in the 2004 film. He has also starred in Just Like Heaven and Bench Warmers. Thanks a lot for info. I can add that please drop in on http://sweptfat.com because it is a site with awfully fine things to glance at.